Narrative: The Gow family home is located at the corner of Maple Street and Alexandra Avenue, Bridgewater. Description: Colour photograph of the Gow family home at the corner of Alexandra and Maple Street, Bridgewater. 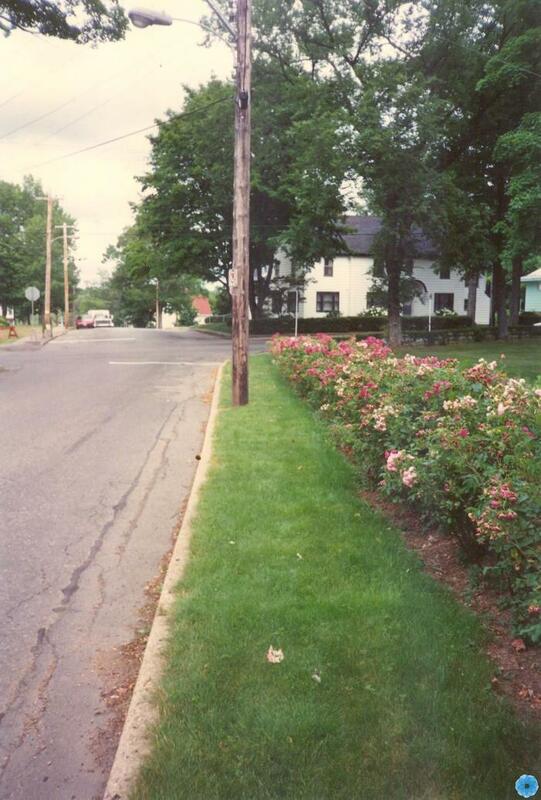 The left side of the photo is mostly street, the right side is a rose hedge. The house is a large two story house with a black roof and window trim. History of Use: Taken to document the Gow family property.